Why Do We Need to Meditate at the Same Time Everyday? This video blog was filmed before Margaret passed away. The topic for this video is "Why Do We Need to Meditate at the Same Time Everyday?". We need to meditate around the same time for spirits because they know during that time frame they can work on us. By Maitreya| 2018-03-15T00:04:54+00:00	April 17th, 2017|Margaret's Videos|Comments Off on Why Do We Need to Meditate at the Same Time Everyday? Video: Why Are We Hungry After Meditation? This video blog was filmed before Margaret passed away. The topic for this video is " Why Are We Hungry After Meditation?". When we meditate, we use a lot of energy, especially when we are going through spiritual development. By Maitreya| 2018-03-15T00:28:07+00:00	August 16th, 2016|Margaret's Videos|Comments Off on Video: Why Are We Hungry After Meditation? This video blog was filmed before Margaret passed away. The topic for this video is "Effect of Spiritual Development on Eyes". Our eyes become more sensitivity as we raise our vibration. Why is Energy Trapped Inside of Us? This video blog was filmed before Margaret passed away. The topic for this video is "Why is Energy Trapped Inside of Us?" We are all energy. Energy never dies, it's ongoing. Sometimes the energy is trapped inside of us. By Maitreya| 2018-03-15T00:29:18+00:00	August 3rd, 2016|Margaret's Videos|Comments Off on Why is Energy Trapped Inside of Us? This is a video blog by Margaret McElroy titled "Importance of Water". Many people don't know that water helps us on our spiritual path. Often spirit uses the energy of water to communicate with us. Video: Why When We Meet People Don’t We Like Them? By Maitreya| 2018-03-15T00:30:41+00:00	June 13th, 2016|Margaret's Videos|Comments Off on Video: Why When We Meet People Don’t We Like Them? This is a video blog by Margaret McElroy titled "Why Do We Have Dreams?". Dreams are simply messages. They can show us about our future, or they can show us about our subconscious and our past lives. Video: Who is My Spirit Guide? This is a video blog by Margaret McElroy titled "Who is My Spirit Guide?" It is not important to know who is your spirit guide. Just know that you have many guides and helpers from the other side to help and guide you in your life journey on the Earth plane. By Maitreya| 2018-03-15T00:31:36+00:00	May 30th, 2016|Margaret's Videos|Comments Off on Video: Who is My Spirit Guide? This is a video blog by Margaret McElroy titled "Daily Transit". Daily transit is where the planets are every day. Daily transit tells you about your life currently and your future. Video: Why do We have Déjà Vu? This is a video blog by Margaret McElroy titled "Why do We have Déjà Vu?" Déjà Vu is like a window that gives you a glimpse of your life path that you have chosen before you are born. By Maitreya| 2018-03-15T00:32:44+00:00	May 16th, 2016|Margaret's Videos|Comments Off on Video: Why do We have Déjà Vu? By Maitreya| 2018-03-15T00:33:44+00:00	May 2nd, 2016|Margaret's Videos|Comments Off on Video: Why do We have Mediums and Channels? This is a video blog by Margaret McElroy titled "Why is it Cold when Ghost is Around?". When you feel a cold sensation around you, don't be alarmed, it is just a way for spirit or someone you know who have passed over to let you know they are around you and communicate with you. By Maitreya| 2018-03-15T00:34:06+00:00	April 25th, 2016|Margaret's Videos|Comments Off on Video: Why is it Cold when Ghost is Around? 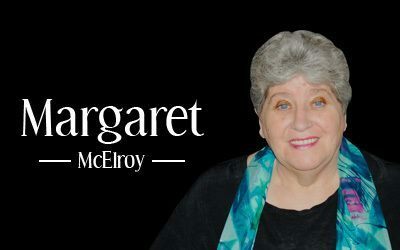 This is a video blog by Margaret McElroy titled "Why Am I Here?". Often people ask the question why am I here, what is my life purpose? Everyone is here for a reason. Everyone is here to learn, grow, and expand through your life. By Maitreya| 2018-03-15T00:34:35+00:00	April 18th, 2016|Margaret's Videos|Comments Off on Video: Why Am I Here?